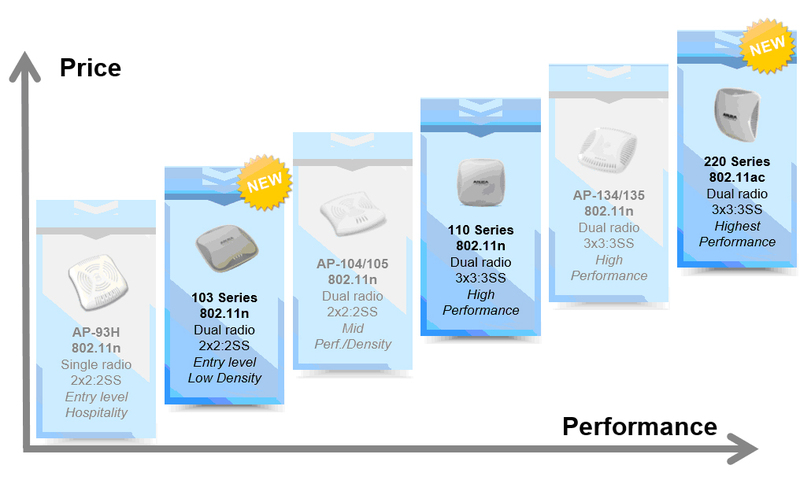 Aruba 802.11ac and 802.11n access points (APs) deliver superb Wi-Fi performance to a wide range of indoor and outdoor environments. 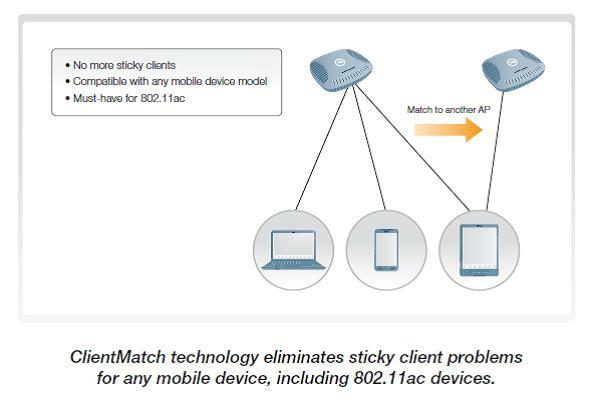 Aruba access points leverage patented ClientMatch™ technology, the only patented technology that squeezes out more throughput for 802.11ac, to ensure that devices are connected to the best AP, which prevents the Wi-Fi network from slowing down as people move throughout your campus. 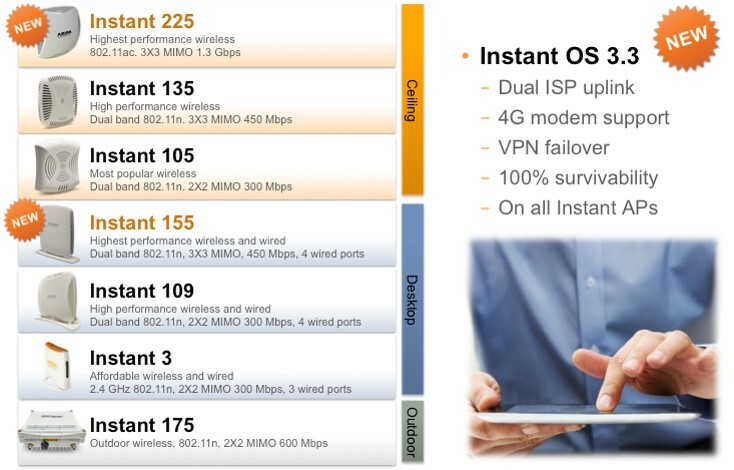 To ensure predictable Wi-Fi performance, Aruba’s next-generation mobility firewall leverages deep packet inspection (DPI). It classifies traffic by application or application groups so that you can apply prioritization and policies based on your business needs. To secure the air, Aruba access points support RFProtect™, which provides integrated wireless intrusion protection and spectrum analysis capabilities. 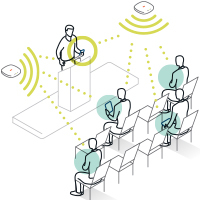 With flexible deployment options, enterprise-class Aruba access points can be controlled locally or remotely by centralized Aruba Mobility Controllers or operate in controllerless Aruba Instant™ mode.